Bob Valentine, a long-time resident of Williston Park and a member of American Legion Post 144, has discovered two 1946 ground-breaking photos of the American Legion hall on Willis Avenue. The photos from the American Legion archives show the eastern embankment of the Willis Avenue Motor Parkway Bridge which was taken down for the hall's parking lot. This 1930's photo is the only known ground image of the Willias Avenue Motor Parkway Bridge looking north. Note the height of the western and eastern embankments. The near street on the right isSyracuse Street. Courtesy of Bob and Ruth Valentine. 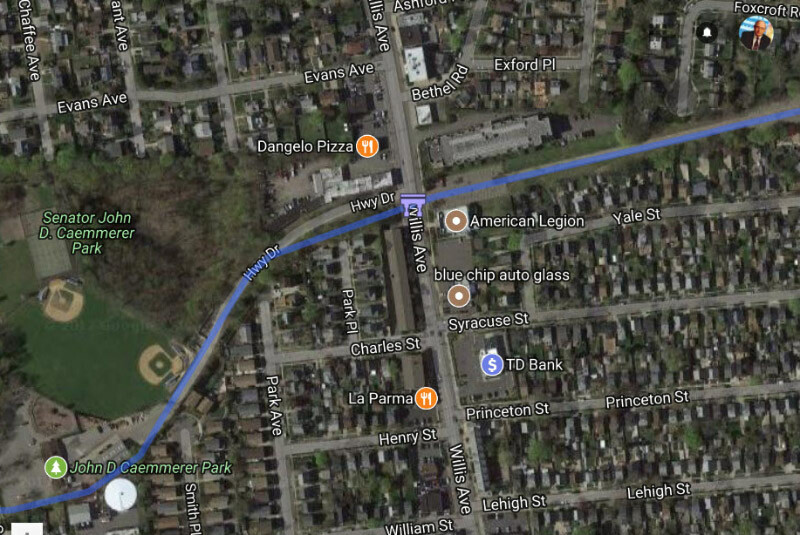 The American Legion Hall would be built in 1946 north of Syracuse Street adjacent to the Motor Parkway right-of- way. Caption for the below photo. 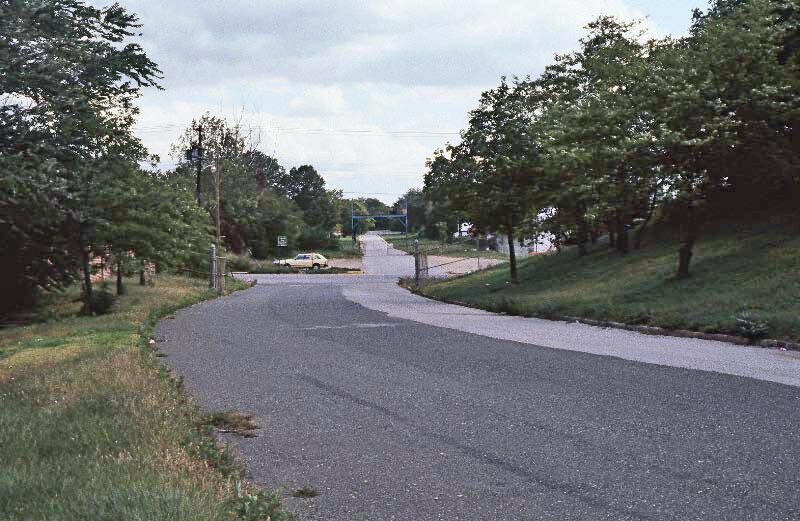 The eastern embankment of the Willis Avenue Motor Parkway Bridge can be seen in the background. 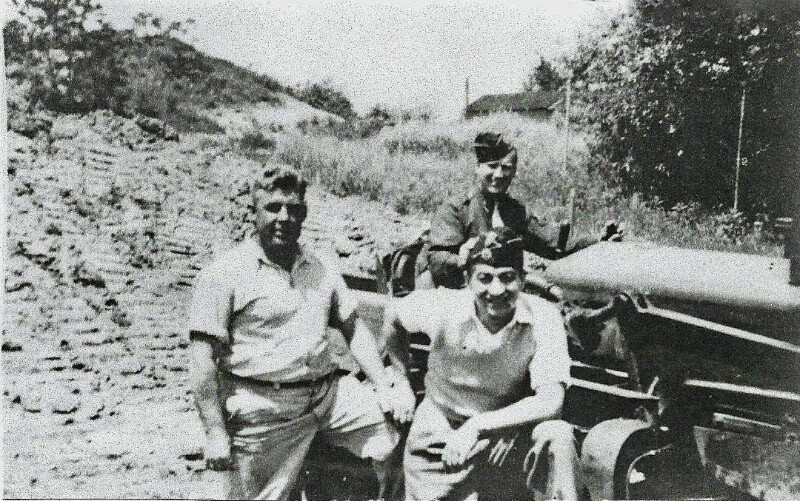 World War I veterans pose in front of an embankment which may be off Willis Avenue (see below Comments). 1980s Photos (Courtesy of Ron Ridolph) . 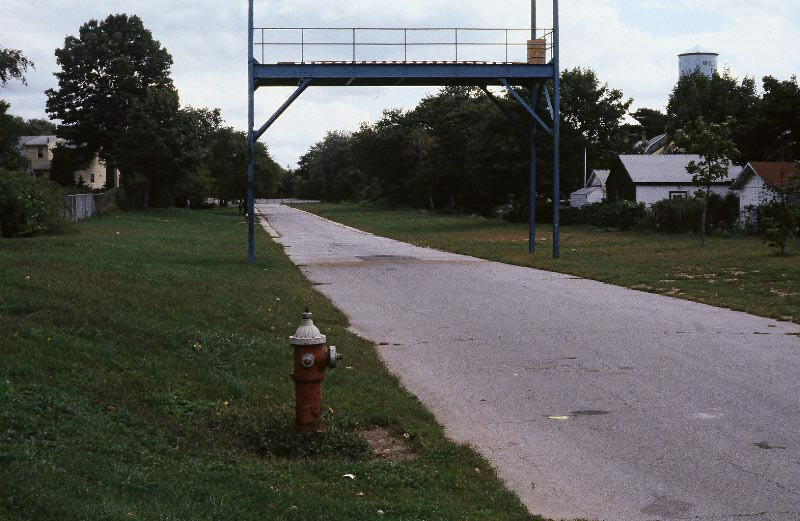 This is the view looking east with Willis Avenue in the background. Note the bridge's west embankment on the right. 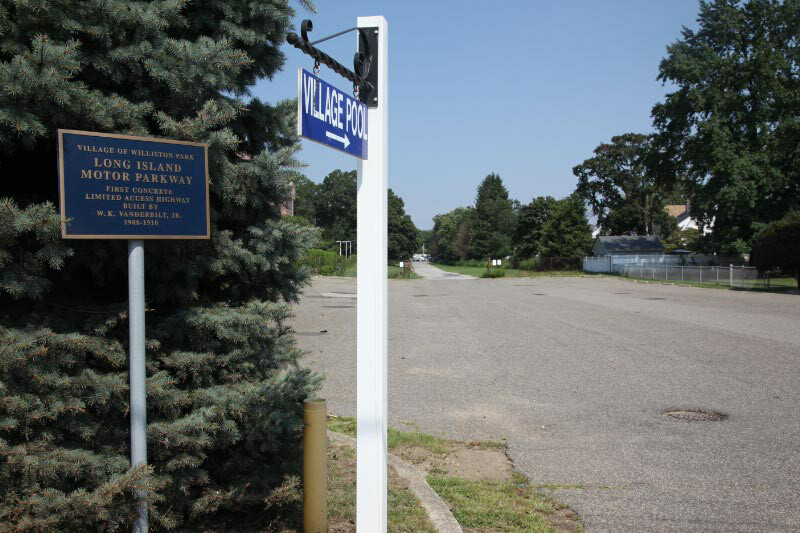 East of Willis Avenue, a section of the Motor Parkway can be seen leading to the Williston Park Village Pool. The eastern embankment ended after the fire department's training bridge and before the beginning of the three-foot concrete extensions. The three-foot concrete extensions of both sides of the Motor Parkway. 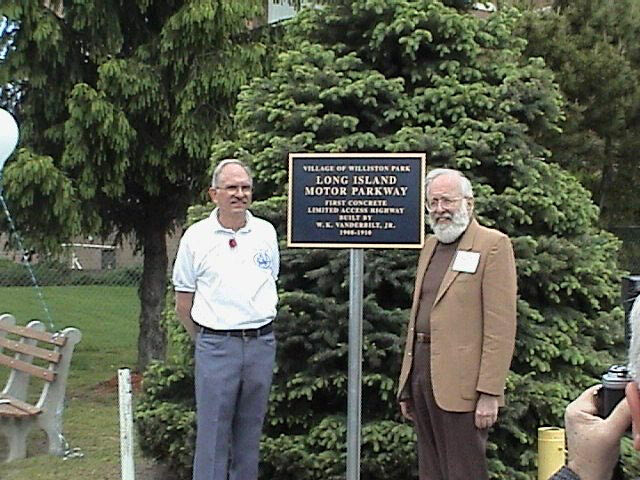 On May 18, 2003, the Village of Williston Park honored the Motor Parkway with the placement of a historical marker on the east side of Willis Avenue. Bob Valentine (left) and Sam Berliner III (right) participated in the ceremonies. 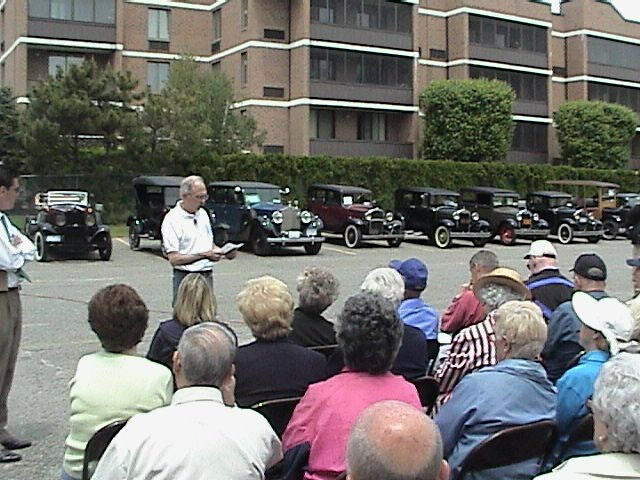 Bob Valentine addressing the dedication crowd. Not to sure the photo with the WWI vets is correct. 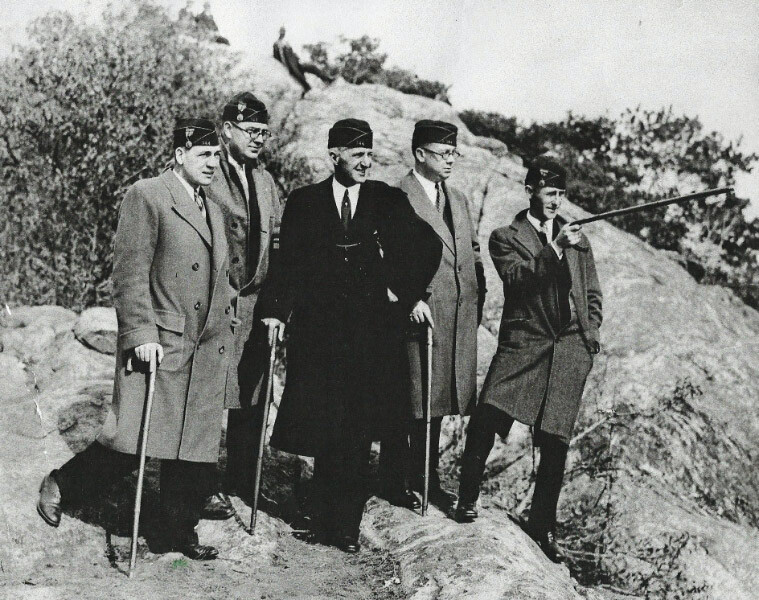 They are standing on solid rock which on long Island doesn’t exist. That hill is also too high for the area. Don’t think the picture matches. It’s great you came across these photos, Bob; thanks for submitting. The 2nd photo isn’t likely either of the embankments. I’d say it deserves to be on the cover of “Life Magazine”. First met you when we all met up at Creedmoor ( pedestrian underpass ) earlier this year. I’m the redhead who was/is curious about the OLD Nassau County Map Book that you brought along. Very neat that you purchased the book at a yard sale. Great last photo of the east embankment just before being leveled for the pool entrance. I’ve seen higher, rocky terrain on the north shore along the sound in Caumsett Park. Difficult to determine location of the second photo. 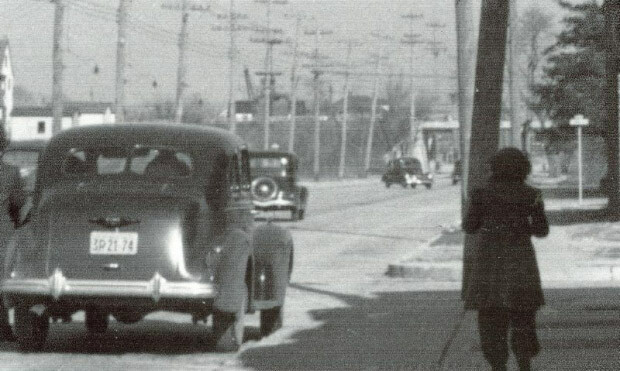 The second photo looking north dates from the early to mid-1940’s judging from the car in the foreground. Good eye Tom, orientation could be N NW (the leftmost gentleman’s right arm shadow on same arm, left arm shirt’s shadow on left arm, and head shadow on his left chest). Could this be the west embankment captured here?